1968 - 1982 Corvette Interior Dye in 12-oz. Aerosol spray can. 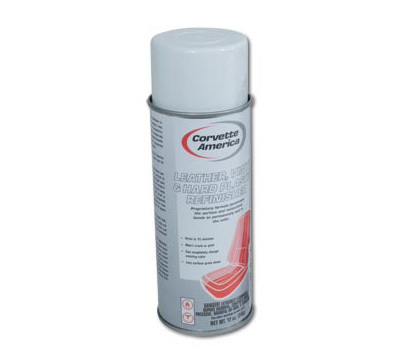 Home > C3 Corvette (68-82) > Interior > Dash & Console > 1968 - 1982 Corvette Interior Dye in 12-oz. Aerosol spray can. Interior Dye produces accurate color and solid coverage on leather, vinyl, fiberglass, plastic and metal. We order dye as needed from the manufacturer so please allow extra time for shipping. NOTE: Due to Shipping Regulations, Dye can only be sent by Ground to Domestic U.S. Addresses. It is Prohibited from all Air and Postal Shipping Services. Please select UPS Shipping if you are purchasing this item. Corvette Surface Prep for Interior Dye in 11.25-oz. Aerosol spray can.